Home » Endangered languages » Linguistic and Biological Diversity Overlap—But Why? Linguistic and Biological Diversity Overlap—But Why? In the early 21st century biodiversity worldwide is sharply decreasing, with annual losses of plant and animal species estimated to be 1,000 times greater than historic rates. As the world is becoming less biologically diverse, it is also becoming less linguistically diverse. Some linguists now predict that 50-90% of the world’s languages will disappear by the end of this century. 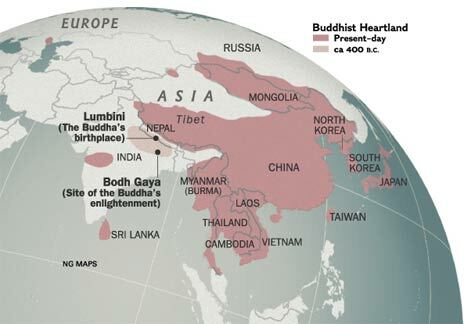 It has been noticed for some time that biological diversity and linguistic diversity tend to occur in the same places, giving rise to the notion of biocultural diversity. However, many previous studies on this topic suffered from limited spatial precision. Nor did they account convincingly for the observed correlation. A recent study by Gorenflo et al. (2012), published in the Proceedings of the National Academy of Sciences online, is based on greatly improved data sets, which allowed the authors to correlate the two kinds of diversity more accurately. More importantly, they also examine the issue of why linguistic and biological diversity overlap geographically. Gorenflo and colleagues focus on so-called biodiversity hotspots and high biodiversity wilderness areas (see map). Hotspots are defined as “regions characterized by exceptionally high occurrences of endemic species and by loss of at least 70% of natural habitat”. Totaling only about 2.3% of the earth’s land surface, the 35 hotspots contain “more than 50% of the world’s vascular plant species and at least 43% of terrestrial vertebrate species as endemics”. High biodiversity wilderness areas, also rich in endemic species, are larger regions (minimally 10,000 square kilometers, or 3,860 square miles) with relatively little human impact, “having lost 30% or less of their natural habitat”. The five high biodiversity wilderness areas cover roughly 6% of the earth’s land area and contain approximately 17% of the world’s vascular plant species and 8% of terrestrial vertebrate species. The data on the geographic distribution of languages, compiled by Global Mapping International, reveals concentrations in the forty regions of high biodiversity, with a total of 4,824 languages spoken there. 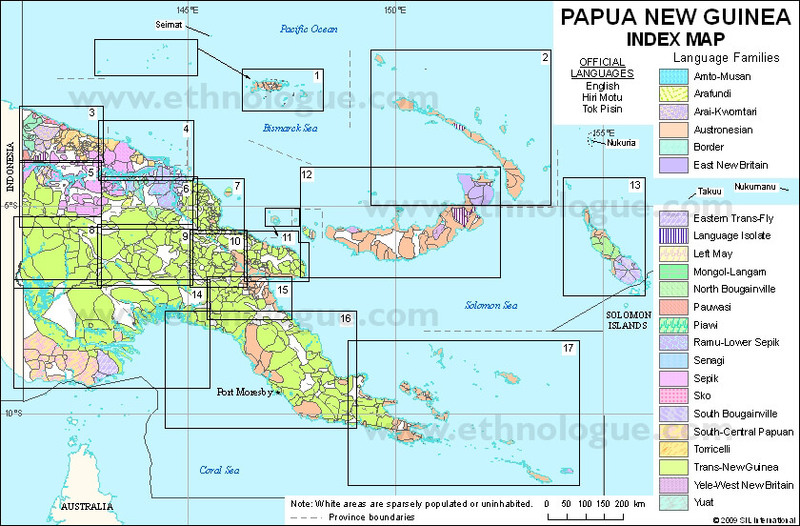 Hotspots particularly notable for their high linguistic diversity include the East Melanesian Islands (#9 on map), the Guinean Forests of West Africa (#12), Indo-Burma (#15), Mesoamerica (#22), and Wallacea (#34), each with more than 250 indigenous languages. 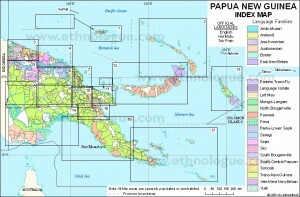 The one high biodiversity wilderness area that stands out in terms of its linguistic diversity is the New Guinea Wilderness Area (#39), with 976 languages—probably, the most linguistically diverse region in the world. However, not all areas of high biodiversity also exhibit significant linguistic diversity: the Chilean Forests (#7), Cape Floristic Region (#3), New Zealand (#26), Southwest Australia (#29), and the Succulent Karoo (#30) hotspots all contain three languages or fewer. 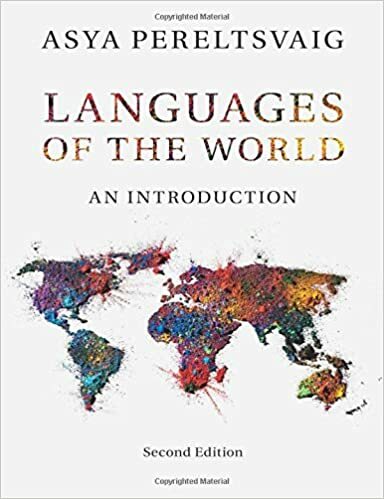 Overall, however, nearly 70% of the world’s languages are spoken over roughly a quarter of the earth’s terrestrial surface, where only one-third of the planet’s population lives. And although considerable variability marks individual areas, “in general, regions containing high biological diversity tend to have high linguistic diversity as well”. 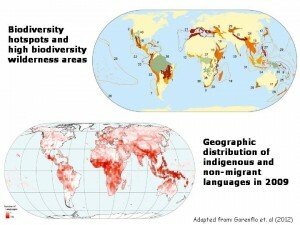 Several theories have been proposed to account for this strong correlation between biological and linguistic diversity. Some scholars view a direct link between the two kinds of diversity whereby plentiful, diverse ecological resources enable greater linguistic diversity either by engendering more competition and adaptation to more complex environments (Pagel & Mace), or by reducing the likelihood of having to communicate and share resources with other groups in times of need (Oviedo et al. ; Sutherland; Nettle). Another theory proposes that “certain cultural systems and practices, represented by speakers of particular indigenous and non-migrant languages, tend to be compatible with high biodiversity”. While it is true that certain cultural systems may support higher biodiversity, it is not clear why they should be embraced by speakers of varied languages rather than by a single linguistic group. 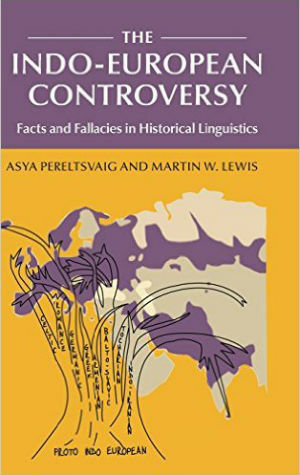 The three theories outlined above fail to take into account the three “T”s that have been identified as instrumental in creating linguistic diversity: time, terrain, and tribalism. Areas that have had human habitation for a long time without experiencing major episodes of migration or conquest that resulted in linguistic replacement, such as West Africa, the Caucasus, and Papua New Guinea, tend to have a high degree of linguistic diversity. Areas of rugged, mountainous topography, such as Nepal and once again the Caucasus, also tend to be very linguistically diverse. Other topographic features that pose barriers to social interaction and therefore favor linguistic diversity are islands, rugged coastline, swampland, and tropical forests. 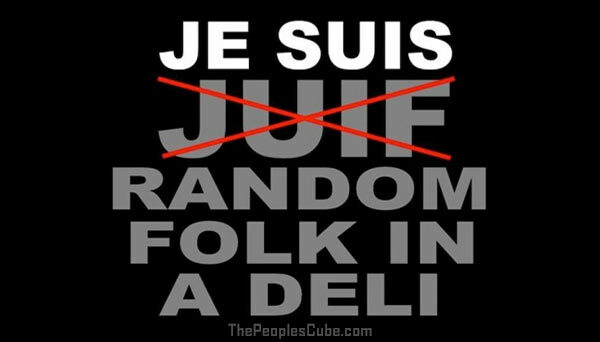 Finally, tribal societies support the existence of many minor languages, while a large national state typically correlates with a smaller number of dialects/languages. Of these factors, only that of terrain can be said to affect biodiversity, at least directly. Specific regional examples underscore the idea that biological and linguistic diversity do not arise for the same reasons. 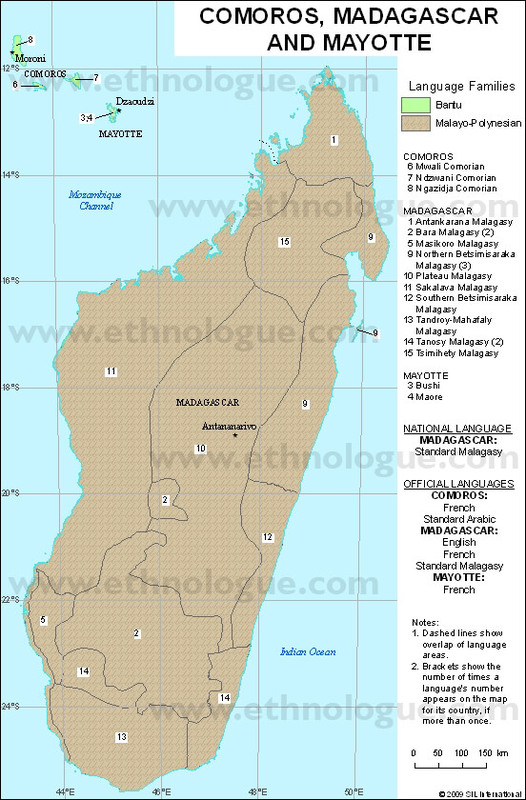 For example, Madagascar has extremely high biodiversity, but hosts a small number of languages (the Ethnologue lists 17 languages for Madagascar, all of which are closely related). The island’s high level of biodiversity is due to its “geographic separation millions of years ago that allowed the evolution of unique species”, whereas its relatively low linguistic diversity is because human colonization from a single region (Borneo) less than 2,000 years ago provided little opportunity for linguistic diversification. 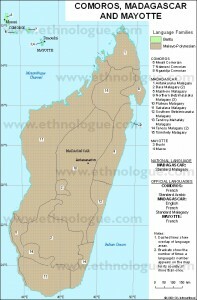 “the isolated and rugged highlands feature high biological diversity, but less linguistic diversity than the northeastern coast of that large island. Topographic barriers to biological dispersion help account for the former; comparatively lower incidence of malaria in the interior allowed the emergence of large polities and the diffusion of associated language groups that did not occur on the more linguistically diverse northeastern coast, where topography is less rugged but the incidence of malaria higher”. Nettle, D. (1999) Linguistic Diversity (Oxford University Press, New York). Nettle, D. and S. Romaine (2000) Vanishing Voices (Oxford University Press, New York). Oviedo G., Maffi L., and Larsen P.B. (2000) Indigenous and Traditional Peoples of the World and Ecoregion Conservation: An Integrated Approach to Conserving the World’s Biological and Cultural Diversity (World Wildlife Foundation International and Terralingua, Gland, Switzerland). Pagel M. and R. Mace (2004) The cultural wealth of nations. Nature 428: 275–278. Sutherland, W.J. (2003) Parallel extinction risk and global distribution of languages and species. Nature 423: 276–279.